In an effort to cut down on the number of hours we spend answering emails everyday, we’ve created an FAQ page where we answer the questions we receive the most. We hope this will help you get the information you need and help us spend more time creating surprises in NEW CITIES! 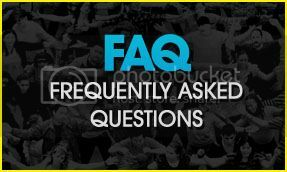 To read our most Frequently Asked Questions, please visit: www.flashmobamerica.com/faqs. Thank you! We cannot WAIT to hear from you.